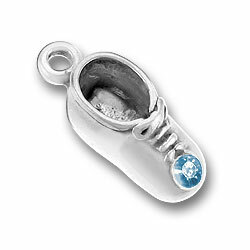 Each baby bootie shoe birthstone charm is approx. 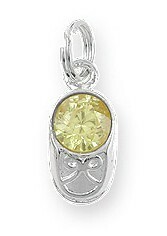 10mm long with a 4mm cubic zirconia stone in the shoe representing the appropriate birth month's gemstone. These sterling silver baby bootie birthstone charms can be used on all sterling silver charm bracelet styles, sterling silver cable omegas, or on a sterling silver chain as a small pendant necklace. 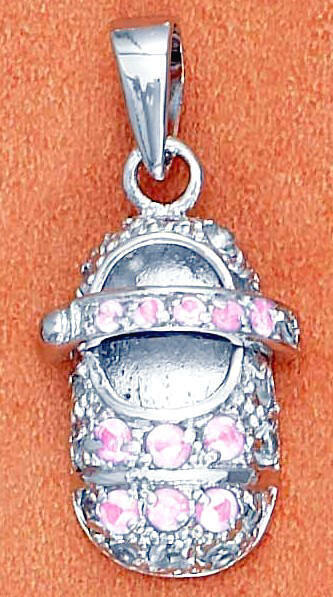 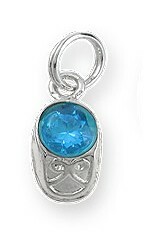 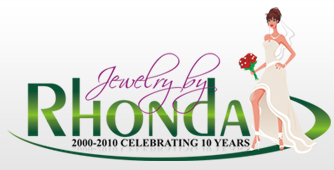 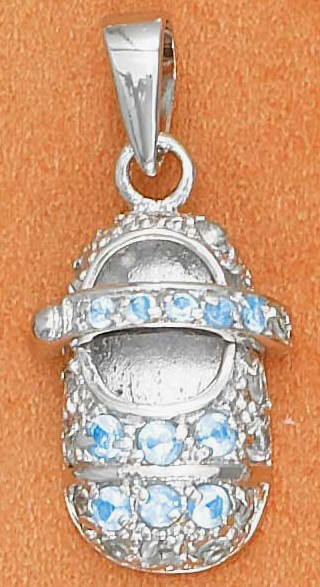 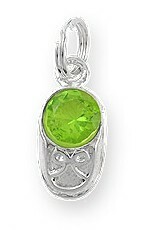 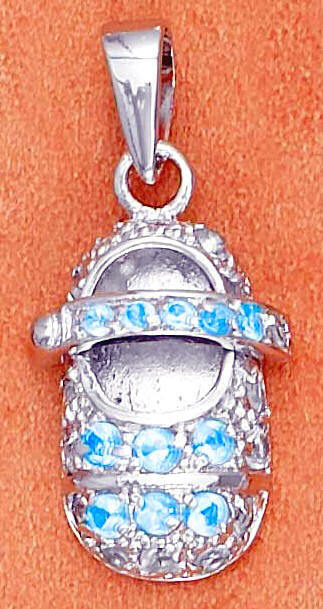 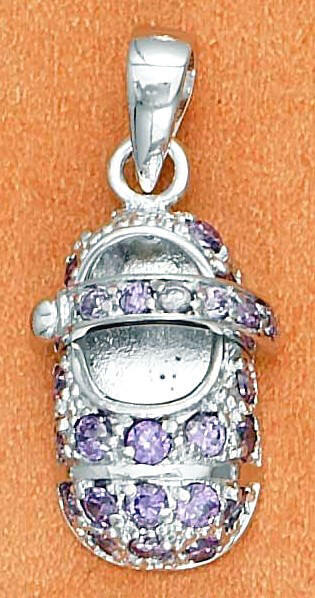 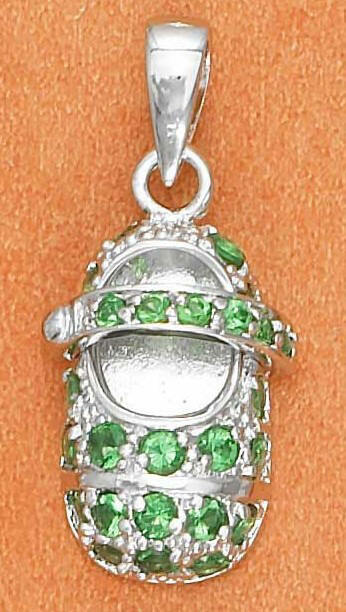 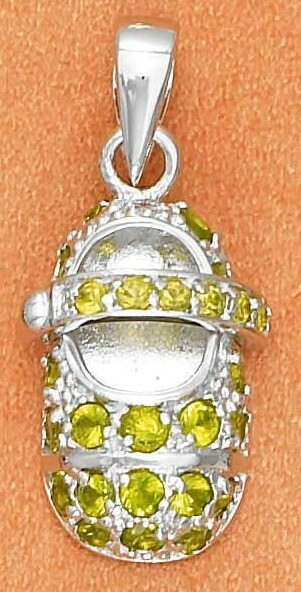 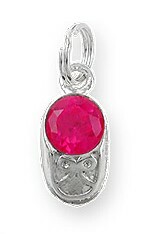 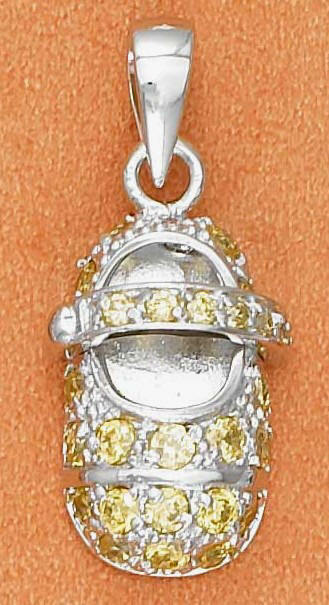 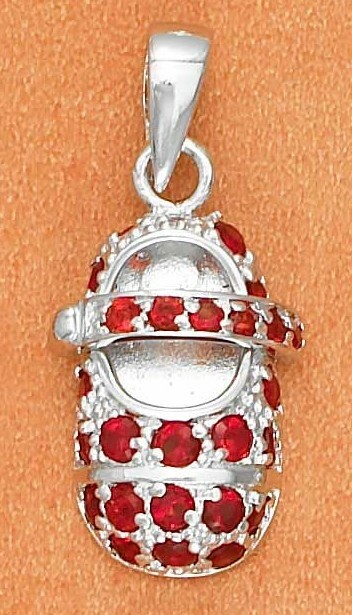 Each baby bootie birthstone charm is approx. 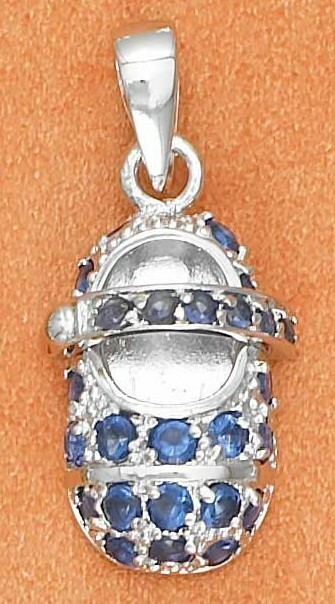 13mm x 6mm with small accent birthstone cubic zirconia stone. 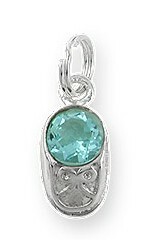 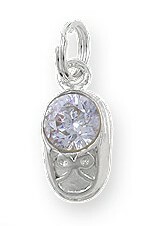 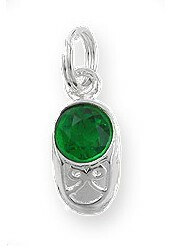 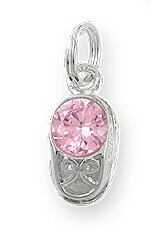 Great on a sterling silver chain as a pendant necklace.